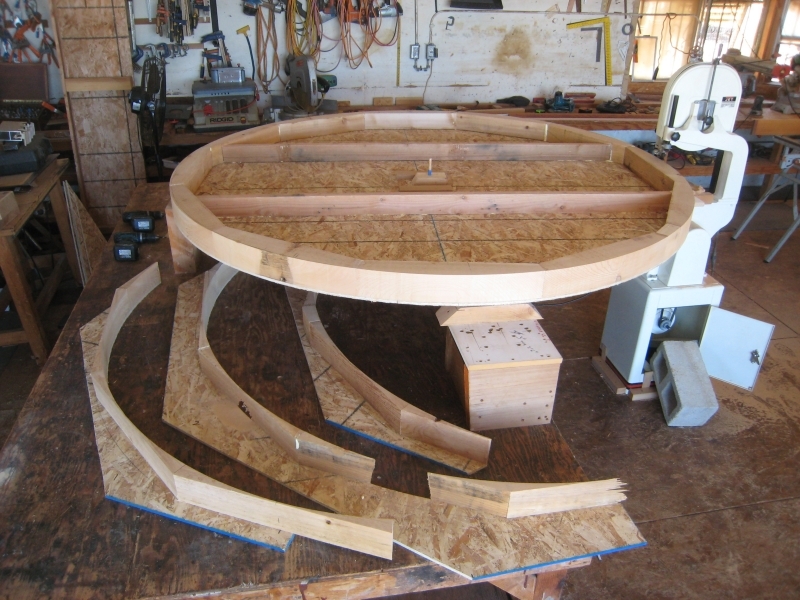 I'm going to be gluing up twenty 1/4" thick x 6" wide x 22' long pieces around this circular jig, which has a 4' radius. it'll be tight grained wr cedar direct from the Vancouver Island mill. They'll slice all my pieces out of a single timber cut from a 3' + log. I plan on having them cut this all plain sawn as it bends a lot easier then quarter sawn. My question is, should they cut it straight across the plain sawn timber like this drawing shows, or should they cut rift sawn? Here's a better drawing of the laminations. seems to me that with plain sawn the grain might come apart when it bends. with the rift sawn it would have straight grain on the faces. I don't think bending will be an issue with the 4' radius. what grain pattern would you use for this? 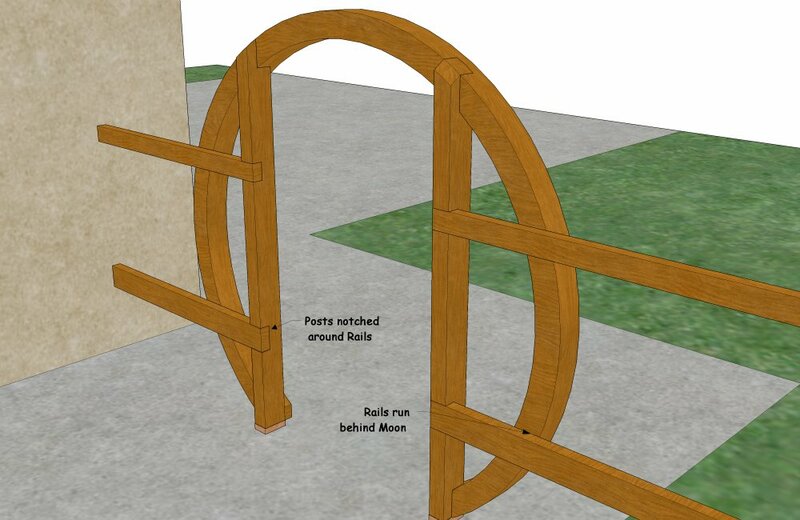 Either will work fine with the 4' radius. Make the decision based on what you want the wood to look like, or the cost of rift sawn verses plain. 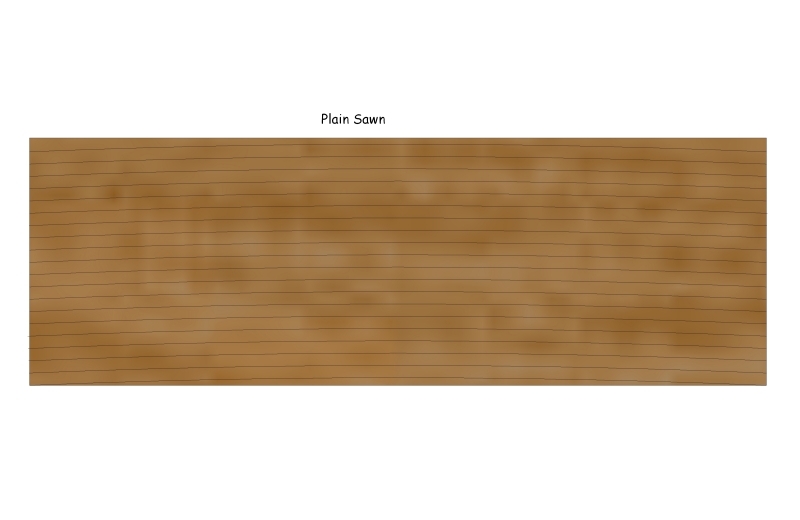 I generally just re-saw the slices from plain sawn…..though I've only done hardwoods, not softwoods. I guess if your worried you could always make the laminations thinner and therefore easier to bend. I'm going to go out on a limb here, and guess that this is your first attempt at a bending project like this, judging from your question, and the fact that you made a full round form. I'm wondering if you are planning on trying to make this up as one unbroken circle, with no single splice point to all those layers. I have to ask how you plan to manage getting them glued and clamped, and if you have made a choice for the adhesive? If my math is right, you should end up with a 5" thick x 6" cross section. Have you tried bending a single piece around yet, to see how much pressure that will take, then multiply by 20? Just dropping down to 3/16" each will probably cut that by half. Where I live, and I think it is common all across the country to ship and sell WRC green, or wet. Most wood will be twice as limber wet as when dry. Of course trying to glue wet would be foolish. The good news is that it should dry pretty quickly at that thickness. It always helps to get good advice on these unusual projects to share what the intended use will be for this circle, so anyone offering their advice will be on the same page. I'll wait to hear more before offering any suggestions. When bending, quartersawn will give fewer defects. Moisture content is important...at 25% MC, the wood is more bendable. Adding heat, without drying, also helps. This time I'll probably glue up 10, then after it cures, another 10.
yeah the timber will still be green when it's sliced at the mill up there. I'll let it dry out a bit more. this is a new larger form, and no, won't be bending it all the way in to a circle, it will have about a 4' wide gap at the bottom. I plan on using TB III. This moon will have two 4x6 posts let-in to the moon, be restrained at the bottom until the posts are put into concrete footings so no chance of springback. 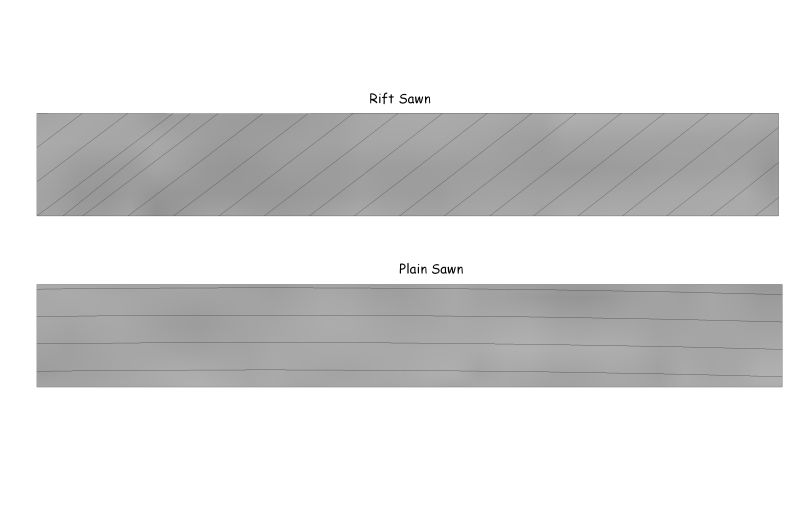 I think I'll go for rift sawn, or quarter if I can get it out of a 6x10 timber. Gene, what do you mean by "Adding heat, without drying, also helps"
thanks all for the great replies and advice! That's a nice looking product! I would have thought epoxy for outdoor use though? Have you been using TB3 all along? I'm with Jeff, I would certainly be using epoxy for this. I'd use vacuum bag to clamp it as well. When I do large laminations, I measure out however many cups of resin I expect to need, then mix in however much colloidal silica to thicken it. The hardener can be measured by the mixing helper using the same cup over and over. Rather than pouring the epoxy into a paint tray, I find it to be faster to just pour a stream ahead of the roller, as I walk down the length of the laminates. I then go back over with the roller to make sure it is all covered. There is plenty of open time to do it in one session, using epoxy, if it isn't too stiff for you and your helpers to bend the 20 plus at once. The epoxy acts as a very good lubricant, which allows the plys to slip by each other while the bend is being made. Rather than trying to stuff this long slippery stack of parts into a long bag, I lay out a long strip of plastic, with the dry stack on top of it. I start by pouring the epoxy on ahead of the roller, as stated above, then flip that piece over to do the other side, and just transfer the parts from one stack over to the next, doing both sides, until I'm through the whole stack. It is already on top of the bag, so I just fold it over and seal it. I have done this just using carpet tape, which is already on one side, ready to be peeled before sealing. However, any wrinkles can cause a leak, so I always have butyl or rope caulk to mash into the wrinkles. Now, I think I would just go ahead and have a couple of caulking tubes of butyl and just go with that to stick the bag. With a good pump, you will get 1000 pounds of clamp pressure per running foot, of perfectly even pressure, so you could get by with just two clamps at each end to hold it around the form while drawing the vacuum. Back to your original question, I think the glue lines are less obvious on the QS, or rift edge of plain-sawn plys, than when you have the broad rings scattered across the glue lines. oh I've never had a problem clamping, don't need a vacuum bag, you just got to Work It around as you clamp, this one we used weldwood plastic resin glue. not worried about springback really, you can see the temporary cleat holding it together. If you are gluing partly dried wood you won't have to worry about springback, just the opposite. The circle will tend to close as the wood dries. Think of the change in geometry and you will understand why. You will be helped by the fat that cedar doesn't shrink very much, and that a thick section like that will take some time to dry. However, if you wait to long to install it your posts will no longer be parallel. That said, in answer to your question, I agree. Rift will look nicer by far and neither will be a practical problem to bend. I think Joe is perfectly justified using TB III. I've used epoxy a lot and still do, but in many cases I think it's at least as prone to failure as the cross-linking or plastic resin. This may be particularly so in the case of bent laminations where there's a likelihood of heavy clamping pressure. Epoxy should not be heavily clamped at all. appreciate all the input fellas, I'm still waiting on my supplier to get back from BC ..